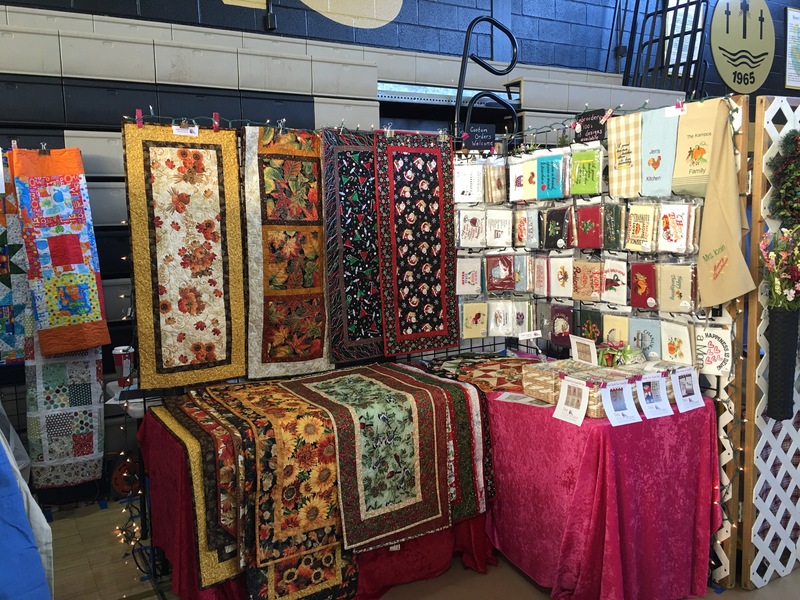 I do love the fall craft fairs, especially the ones set for Thanksgiving and Christmas. I get to see a lot of crafty friends and hopefully the customers like what they see. Today I am at Paramus Catholic High School in Paramus, NJ on Paramus Road. If you visit, come find me in the gym. 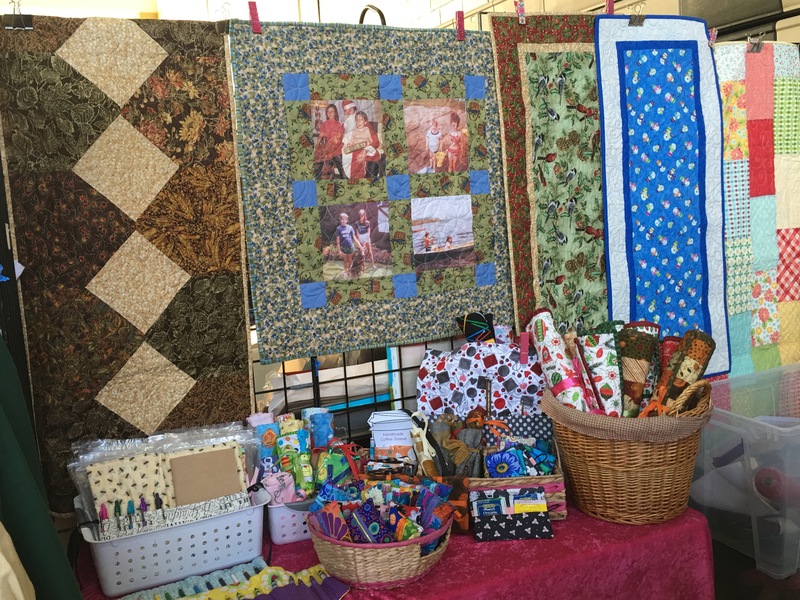 I have lots of fall and Christmas table runners, holiday towels and quilted gifts. 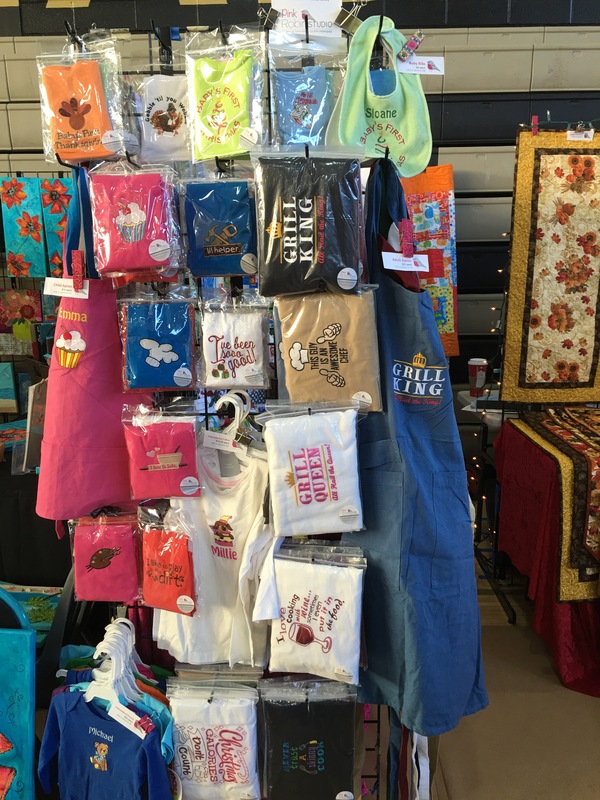 I also have aprons, bibs, onesies and t-shirts that can be embroidered to order. These are a lot of fun. Who doesn’t love getting a gift with their name on it? Hope to see you. If you can’t make a show just call or email if you would like to order for holiday gifts!